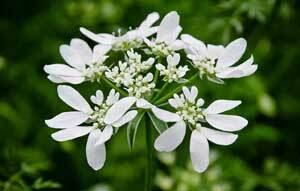 This is Orlaya grandiflora, also known as Minoan Lace, and White Lace Flower. 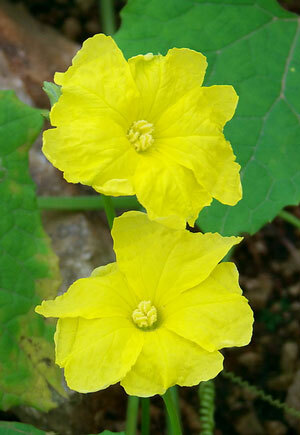 This is an Annual plant grows to about 2 feet tall and likes to live in sun or partial shade. The bursting white blossoms arrive in late Spring and hang around until early Summer. 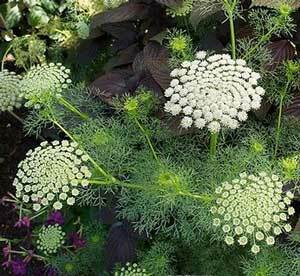 This plant as well as Centaurea cyanus are two of the best choices if you want plants that will be valuable to beneficial pollen collectors. This includes butterflies, bees, wasps, flower flies, and many others that I have never heard of. This will make butterflies happy. 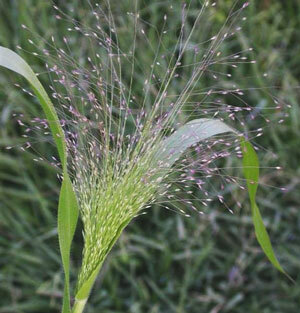 This is Panicum capillare, also known as Old Witch Grass, and Witchgrass. 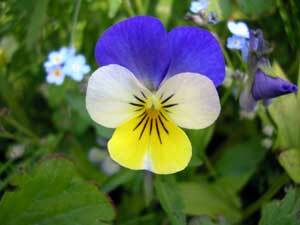 The Seeds can be eaten after being cooked and then ground into powder. USDA Hardiness Zones 4 to 8.